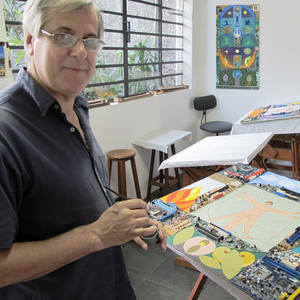 2018 – “Cartographies of Gaia” - Cultural Center of Sao Paulo Post Office. – “Cartographies of Gaia” - Nilton Zanotti Gallery - Palace of Arts of Praia Grande. 2014 – “Requiem for Gaia” – MACC – Museum of Art and Culture of Caraguatatuba. – “Requiem for Gaia” – Cultural Space UNESP - University of the State of Sao Paulo. And 62 more group exhibitions from 1981 to 2005.